Noosa Crest Resort – this indulgent and spacious holiday accommodation is set high on Noosa Hill, and showcases Noosa at its very best. 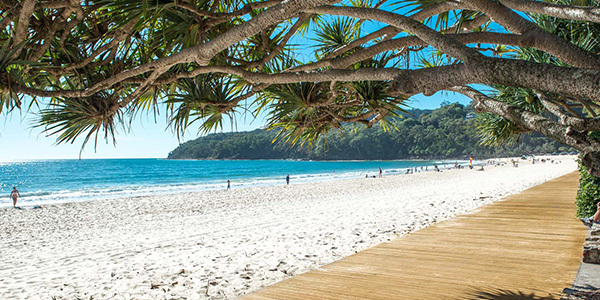 The resort is famous for its unforgettable views over Noosa Heads, Laguna Bay and Noosa River. 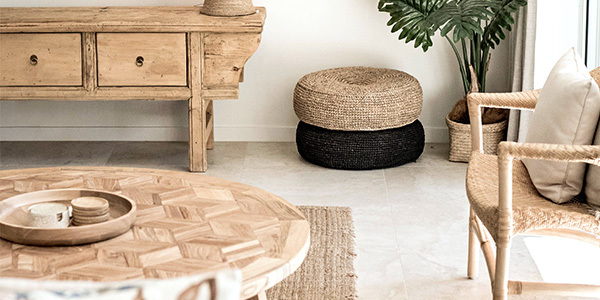 This unique holiday resort is set amidst five acres of beautifully landscaped and native gardens with private rainforest fronting the Noosa River. Noosa Crest is surrounded by serenity, privacy and seclusion just a short walk from Hastings St.
Noosa Crest caters to every discerning holidaymaker, with self-catering 1, 2 and 3 bedroom apartments and a luxurious range of 1, 2 , 3 and 4 bedroom penthouse apartments providing ample choice for all holiday needs and budgets. A short walk through our private rainforest boardwalk delivers guests to the sophistication of Hastings Street and its fine dining restaurants, alfresco cafes, boutique shopping and specialty stores, plus much more. Feel free to get in contact with us for any questions that you may have about Noosa Crest resort. We are here to help and we find that you may have a particular request to make your stay with us more comfortable. 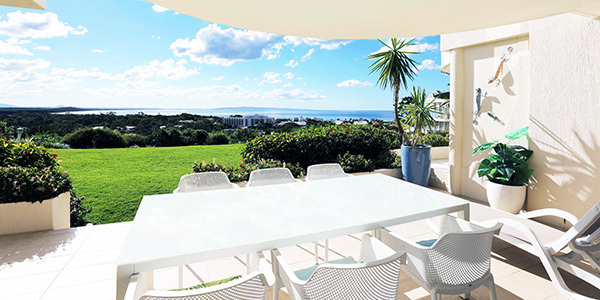 Noosa Crest – set high on Noosa Hill, this indulgent and spacious holiday accommodation showcases Noosa at its very best with unforgettable views over Noosa Heads, Laguna Bay and Noosa River. 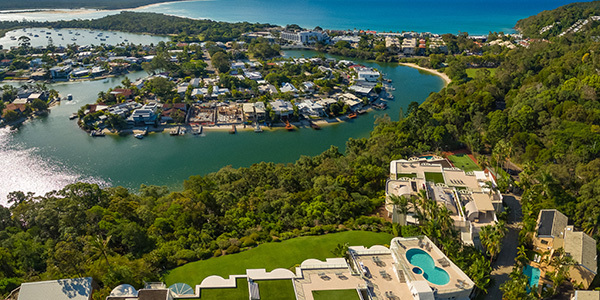 Enjoy world class accommodation with an elevated position on Noosa Hill and panoramic views over the Noosa River, Laguna Bay, Noosa North Shore and beyond. Choose from a sophisticated range of sprawling four and a half star self-contained holiday apartments, penthouses and the exclusive Villa Laguna to complete the perfect beach holiday.